The Department for Cultural Heritage and Sicilian Identity and iGuzzini present the innovative lighting project which will also allow the visually impaired to enjoy the beautiful statue. A duplicate has be exhibited at Vinitaly within the Sicilian Pavilion. Starting in June, the famous Greek statue will be at the centre of an innovative lighting project, which will allow the visually impaired to enjoy the beautiful statue. A duplicate will be exhibited at Vinitaly within the Sicilian Pavilion. Verona, 16th April - On the occasion of Vinitaly, the Department for Cultural Heritage and Sicilian Identity and iGuzzini announce the new lighting project of the Museum of Dancing Satyr of Mazara del Vallo where the famous bronze statue is treasured. Dating from between the IV and II century B.C. and attributed to the Praxiteles school, the statue found at the end of the '90s in the Sicilian Channel continues to witness the glorious past of Greek art in Italy today. Starting in June, the new lighting project will highlight the classical masterpiece. The lighting project will potentially allow the visually impaired to appreciate the beauty. This is possible thanks to a technology able to change the light, according to the modality and the procedure of the museum, in order to improve visually impaired perception of the statue. To celebrate the occasion, it is possible to admire a bronze copy of the statue within the Sicily Pavilion. A copy that represents the heart of “Conoscere la Forma/Knowing the shape” , the project launched in 2006 by iGuzzini illuminazione in collaboration with the High Institute for Conservation and Restoration and the Omero Tactile Museum of Ancona with the aim of making the artwork accessible to the visually impaired and the blind. This project carries on the synergy between the Department and the company from Recanati started with the lighting project accomplished at the Ancient Theater of Taormina in 2017 – realized by the Energy Service Company Metaenergia (ESCo) as part of the activities planned within the Framework Agreement for the energy supply at the Department for Cultural Heritage. 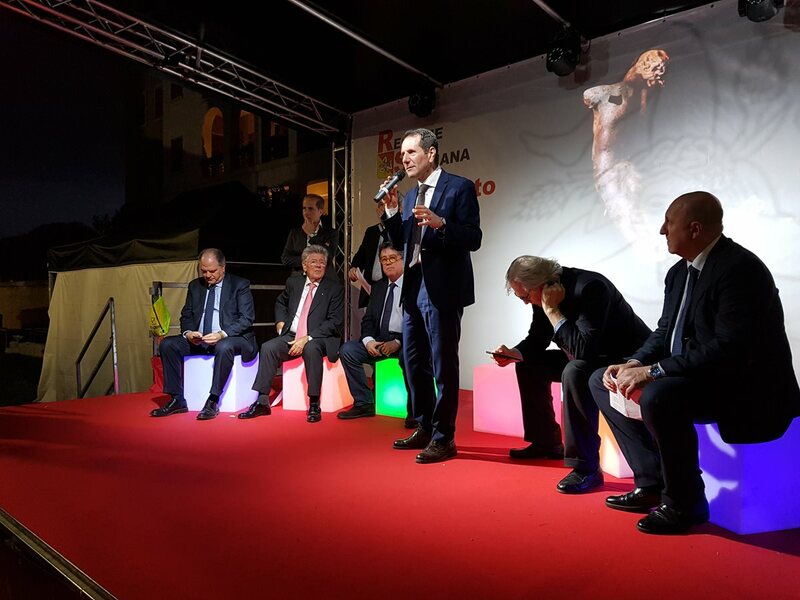 This is another occasion for iGuzzini to concretely contribute to the enhancement of cultural heritage in Sicily and allow the community to benefit from its wonderful artistic heritage. "The Dancing Satyr of Mazara del Vallo represents a masterpiece of Greek art testifying the passage from the severe style to the "liberation" style that characterizes the human figure of initial Hellenism. Its uniqueness lies in the genius of the whirling movement that envelops in the wind both the body and the beautiful hair. At the apex of the Dionysian ecstasy stands a jump and then falls asleep wrapping itself in the panther skin. We are sure that it was part of a load of precious works of art perhaps stolen by Alaric in Rome during the last tragic days of the empire". "The lighting project of the statue of the Dancing Satyr of Mazara del Vallo is part of a broader strategy of the Department that intends to enhance its monumental and artistic heritage through the use of light as an instrument of exaltation of structures and forms. It has already happened with the LED relamping of the Valley of the Temples of Agrigento and with the Ancient Theater of Taormina and it will happen soon with the Dancing Satyr of Mazara del Vallo and with the Temple "C" of Selinunte ". "We are proud to carry on the collaboration with the Department for Cultural Heritage and Sicilian Identity after the prestigious intervention at the Ancient Theater of Taormina. We put our expertise and technology at the service of the community in order to enhance another icon of the Sicilian artistic heritage through a skilled use of light. In fact, the lighting, allows to open multiple cognitive paths by which the works of art acquires a totally new aesthetic meaning ". Piergiovanni Ceregioli, Cultural Research Center Director iGuzzini illuminazione.